This class will mainly focus on the features of the Brother SDX225 Model. This is free for customers who purchased their machine here. If you did not purchase your machine here, a class fee of $100 will be charged on the day of the class. If you have a mass market Scan N Cut, you may enroll for this class. You will be charged the $100 class fee on the day of the class. Please be aware that you may not be able to do all projects in the class due to certain features not being on your machine. 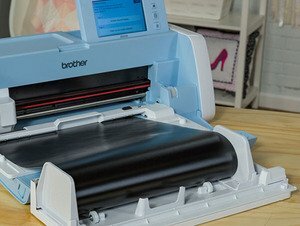 You will learn the features and functions of your Brother Scan and including scanning in a image, moving the pieces around to follow the different fabrics being used, and cutting out the pieces of the design. Bring your Scan N Cut with all the included accessories for a hands on class. We only have room for 8 per class. So, register now.